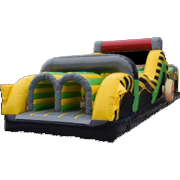 Obstacle Courses bring you to the next level with some friendly competition. 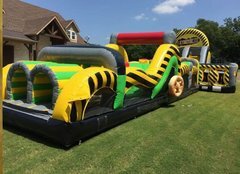 The inflatable obstacles provide you with extra fun and excitement with an all-in-one inflatable party rental for your guests. 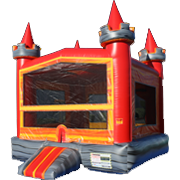 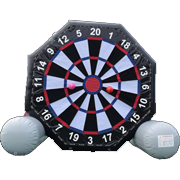 In fact, they combine the popular bounce house feature, the jumping area, with plenty of exciting elements and challenges. 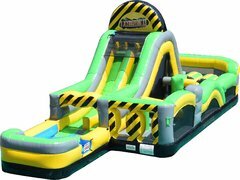 Each obstacle course may vary but the many feature slides, obstacle pop ups and logs, climbing features, crawl tunnels and other cool options. 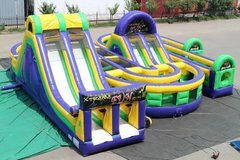 Participants have to crawl, push, and hop through obstacles then climb up to slide to the finish in order to win the race. 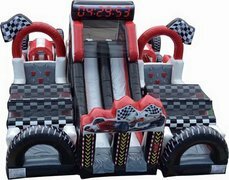 The obstacle courses is a great option for kids and young teens. 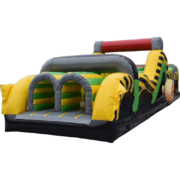 No matter which inflatable obstacle course you choose, the participants will enjoy multiple variations of excitement inside of one single inflatable challenge. 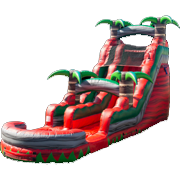 Obstacles are great ideas for events with plenty of guests because participants generally go through them quick and do not stay on them for a long period of time, therefore allowing everyone a chance to take the challenge! 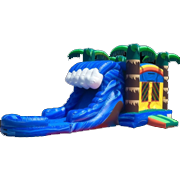 Who will be the first to the end? 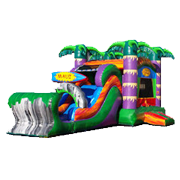 Browse our selection of inflatable obstacle courses below!